Last Week at Defence Colony, I Met this Gentle Man Pritam Singh. He told that his formula is 60 years old & was created by his father who till 5 years back sold it for 50 years, in Defence Colony Market. While Pritam jee’s father sold it in Defence Colony, Pritam jee himself sold it in Lajpat Nagar. 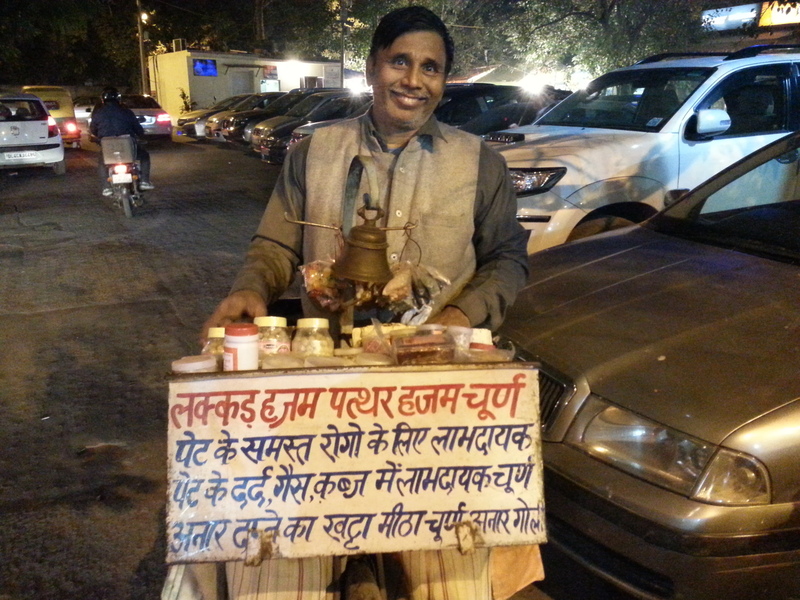 However, now for past 5 years, he sells it in Lajpat Nagar in Morning and at Defence Colony in evening! My hajma is Quite good so I skipped the LHPH Churann but got Anardana Churann balls from him which were really good. If you want to experiment, then he had other Goodies like Saunf, Aam Pappar, Imli etc etc too. Before you ask for his number…. here it is 9313972621. This evening after Trade Fair ki Sair and Cha Bar ka Khana, Gurleen and me went to Gurdwara Bangla Sahib. There I overheard these 7 kids who sounded a bit worried and got to know that one of them has hurt his Finger. I always carry a Band Aid in my Wallet and offered to help. Saw his Finger which had some internal injury and small Blood Clot had appeared which would normally be healed with passage of time. But to pacify them, I told them to use a Band Aid and on application they seem to be happy. Probably a Psychological effect. 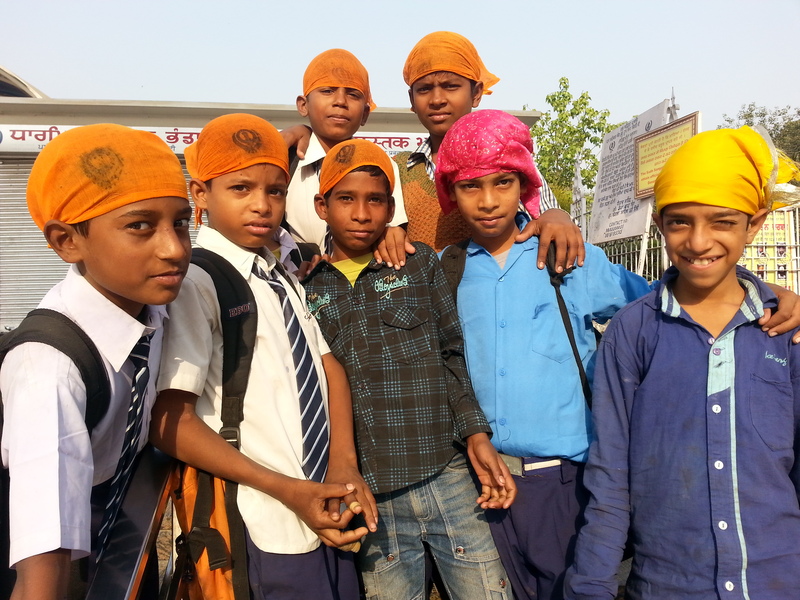 Now, they had seen me clicking a Pic & asked me to click one of them and I obliged. I asked them if they have Mail accounts. None of them did. Because these Kids asked me to do so! Also because, Though I had a very Special Day today, however they made it more special. They made me Smile, They made me feel happy!